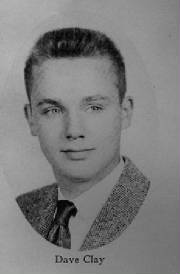 CEDAR FALLS — Robert L. Robinson, 78, of Des Moines, formerly of Cedar Falls, died at home Saturday, Sept. 29. 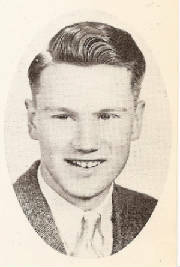 He was born May 16, 1934, in Cedar Falls, son of Myrle C. and Margaret K. Hansen Robinson. 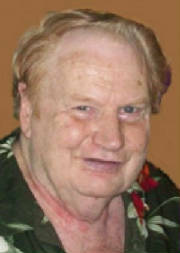 He married Sharon Refshauge in 1955. 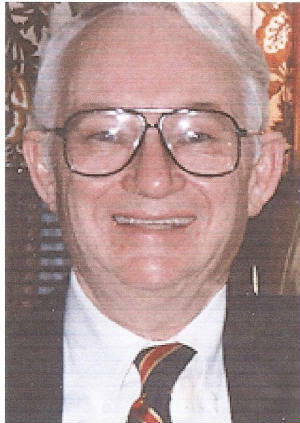 He earned a bachelor’s and master’s degree from the University of Northern Iowa. Mr. Robinson worked in the public relations department at Northwestern Bell Telephone Co., Des Moines. 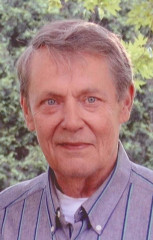 After retiring, he was an adjunct professor of history for Simpson College and DMACC. Survived by: his wife; three daughters, Ann Monick of Glen Ellyn, Ill., Meg Sullivan of Elmhurst, Ill., and Kate Takahashi of San Diego; six grandchildren; and a sister, Mary Lou Becker of Minnetonka, Minn.
Services: 10 a.m. Wednesday, Oct. 3, at St. Andrew’s Episcopal Church, Des Moines, followed by burial at 2:30 p.m. in Greenwood Cemetery, Cedar Falls. Memorials: may be directed to the UNI Foundation history scholarship fund. Condolences may be left at http://www.hamiltonsfuneralhome.com/. WATERLOO — Ardith “Billie” Evalene Howell Shull, 78, of Des Moines, formerly of Waterloo, died March 15, at her home of natural causes. She was born Jan. 26, 1934, at her grandmother Lila Spark’s house in Grinnell, daughter of Emory Earl “Pop” and Florence Sparks Howell. She married Joseph Rolla Shull June 10, 1955, at First United Methodist Church in Cedar Falls. He preceded her in death. She graduated from Cedar Fall High School in 1952. 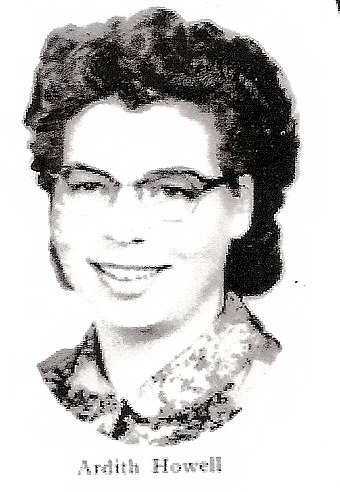 She co-owned and operated Packer’s Shoe Repair in Waterloo for many years, and worked in the sliced bacon department at Rath Packing Co. for 31 years from 1952 to 1983. Survived by: two sons, Dennis (Heidi) of Cedar Falls and Neal of Cedar Bluffs, Neb. ; two daughters, Amy of Des Moines and Lezlie of Camp Zama Army Base, Japan; a daughter-in-law, Colette of New Hartford; eight grandchildren, Sgt. Lucas, USMC of MCAS New River, N.C., Cpl. Emily, USMC of MCAS Iwakuni, Japan, Cpl. Samuel, USMC of Biloxi, Miss., Cpl. Kathryn, USMC of Camp Lejeune, N.C., Joseph of Cedar Falls, Tylor of Wahoo, Neb., Elana Johnson (Brandon) of Fremont, Neb., and Leia (Peter) of Des Moines, who she was a guardian for; and two great-grandchildren, Taylar of Wahoo, Neb., and Gara of Des Moines; and two sisters, Freda Hansen and Carol Farrell, both of Cedar Falls. 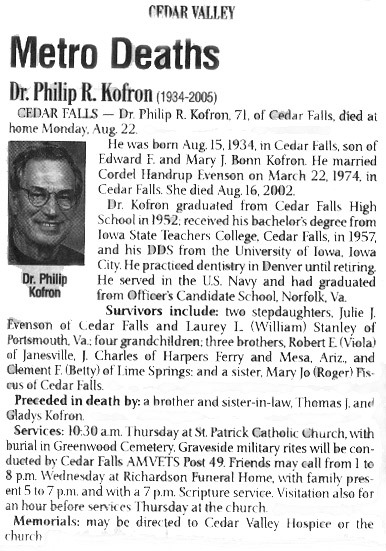 Preceded in death by: a son Michael; a brother, Roy Howell; and a sister, Ellen Hansen. Celebration of life: 10:30 a.m. Saturday at Burns United Methodist Church, Des Moines. 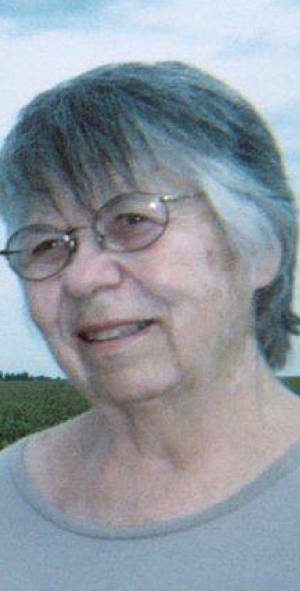 Her ashes will be buried at her father’s grave in Grinnell and husband and son’s graves in Finchford. She donated her body to medical research.